From the Ellaura Timeless Collection, this elegant 14k white gold bridal set represents love and adoration joined together. 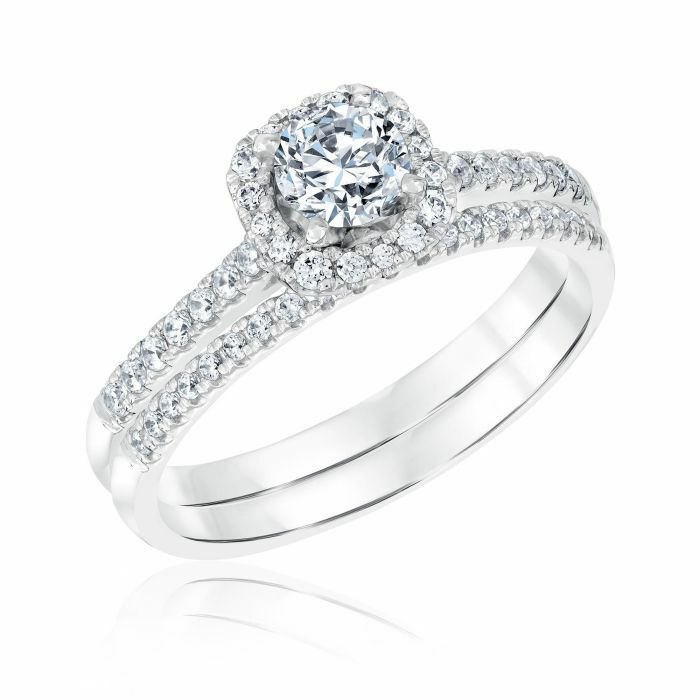 It features a 3/8ct round center diamond accented with a halo of round diamonds. Additional diamonds decorate the shoulders of the band. A diamond adorned matching wedding band curves perfectly to pair with the engagement ring. Diamonds are 3/4ctw, I or better in color and I1 in clarity.